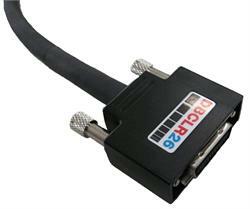 Also available at High Frequency version to reduce, if not to eliminate, repeater requirements! 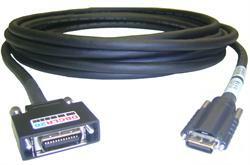 All CameraLink Cables offerred here at CamCables.com are in Robotics or High Flex Life Specs. Lifetime test passing over 2 million cycles and progressing! 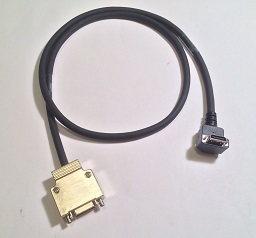 This cable connects camera and PC without power connection included in the same cable jacket. 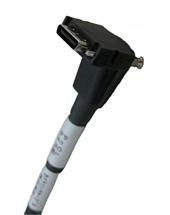 Camera Link Cable Assembly with SDR-Down direction to SDR straight Connectors Non PoCL Camera Link Type, Standard Frequency, RoHS Built with High Flex Life Cable! Ask about custom length availability.